DNA contains the sugar deoxyribose and RNA contains sugar ribose. Ribose has one more- OH group than deoxyribose. DNA is a double stranded molecule. It is a B-form double helix. It contains a long chain of nucleotides.RNA is a single strand molecule. It is A-form helix. It has shorter forms of nucleotides. DNA is stable under alkaline conditions. The C-H bonds in DNA make it stable to an extent and the body destroys the enzymes that would attack DNA.The small grooves in the helix serve as protection by providing minimal space for enzymes to attach. RNA is not stable under alkaline conditions. The O-H bond in the ribose of RNA makes the molecule more reactive than in the case of DNA. The large grooves in the molecule make it susceptible to the attack of the enzymes.RNA is produced, used, degraded and recycled in a constant manner. The functions of DNA and RNA are different.DNA has long term storage of genetic information and transfers genetic information. It transmits genetic information to make other cells and new organisms. RNA codes directly for amino acids. It is the messenger between DNA and ribosomes for making proteins.RNA transmits genetic information in some organisms and can be the molecule for storing genetic blueprints in primitive organisms. DNA uses the bases adenine, thymine, cytosine and guanine. RNA uses the bases adenine, uracil, cytosine and guanine. The difference between uracil and thymine is that uracil does not have a methyl group on its ring. DNA replicates self.RNA is synthesized from DNA whenever there is need. While DNA is susceptible to UV damage, RNA is relatively resistant to UV damage. An online Biology tutor can explain these differences more in detail for the benefit of Biology students. There are basically three types of RNA-mRNA, rRNA and tRNA. mRNA (Messenger RNA): mRNA transfers the genetic information from nucleus to the cytoplasm of a cell. It transcribes the genetic code from DNA into a form that can be read and used for making proteins. rRNA (Ribosomal RNA): rRNA is found in the cytoplasm of a cell where ribosomes are found.rRNA directs the translation of mRNA into proteins. tRNA (Transfer RNA):Like rRNA, tRNA is located in the cytoplasm of a cell and it is involved in the synthesis of protein.tRNA transfers or brings amino acids to the ribosome that correspond to each three –nucleotide codon of rRNA.The amino acids are joined together for processing polypeptides and proteins. Doing assignments on types of RNA or any related topic can prove intriguing to students. 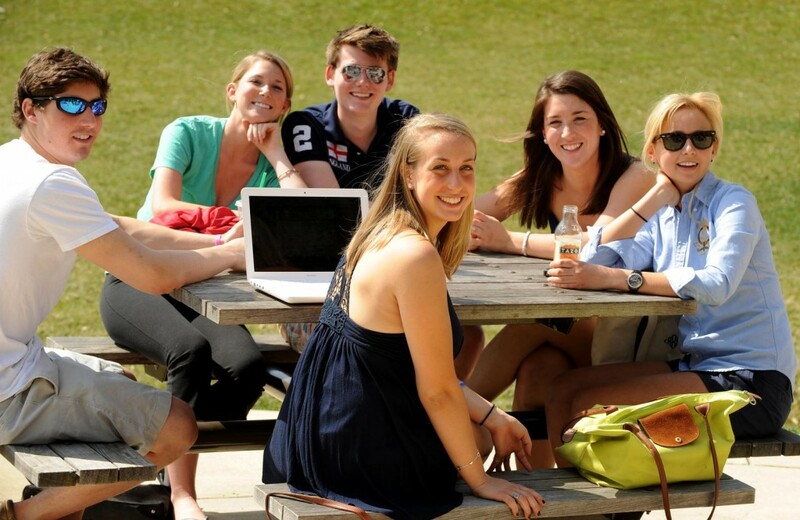 They can seek Biology assignment help via virtual medium and enhance their scores in Biology assignments. Same way, doing Biology homework in tough chapters may also cause troubles to students testing their minds in the last minute. Avail Biology homework help from subject scholars and learn Biology topics with renewed interest. Biology has many topics which unfold the truths of nature in an interesting way. Protein denaturation is one such topic which shows how denaturation of protein is found in common household activities like cooking. 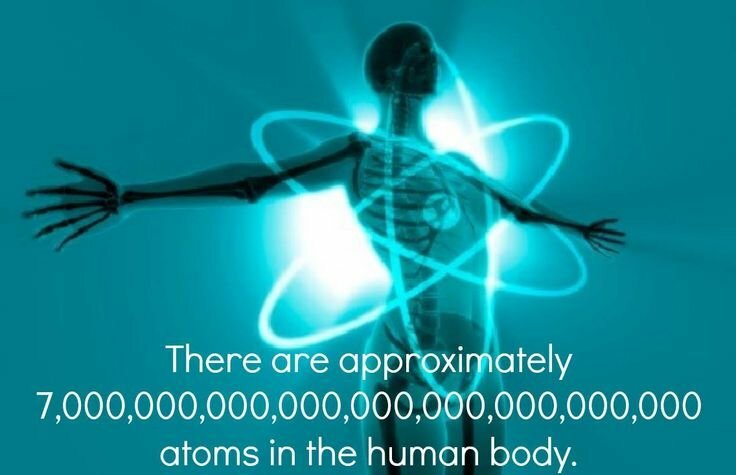 Proteins are found in all living beings. They are large molecules which are composed of folded amino acid chains. Every protein has its unique shape and functions as based on its shape. Proteins are like keys that fit into certain shaped locks around the body of living organisms. 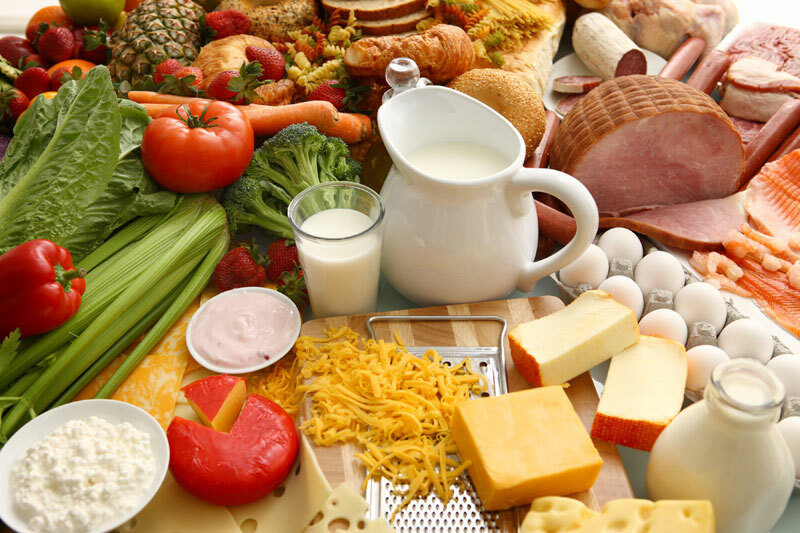 Proteins are required for speeding up biological processes, recognizing antibodies, providing substances, regulating physiological processes and genes, transporting substances and responding to signals inside and outside of the organism. 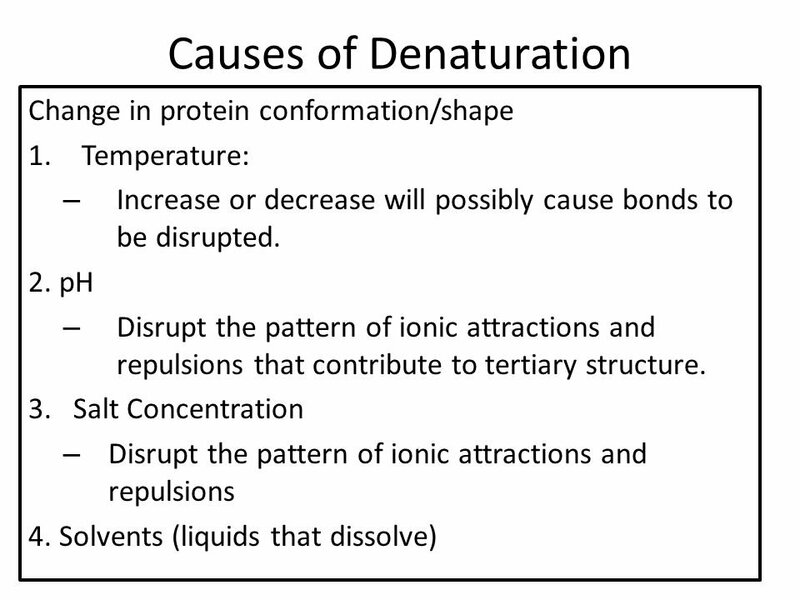 Denaturation is the process by which proteins lose their structure and stop to function. The four levels of protein structure are primary, secondary, tertiary and quaternary. The primary structure of a protein is the sequence of amino acids that form the proteins. Every protein has a unique sequence for the amino acids. If the amino acids are not in order, proteins will not function properly. The secondary structure of a protein describes regular repeated patterns of initial folding that are found in the protein. There are two types of folding at this level- alpha helices and beta sheets. An alpha helix is a spiral coil shape that is formed by hydrogen bonds. Beta sheets are formed when two amino acid chains align and form a flat or wrinkled area pattern. The tertiary structure of a protein describes the shape of the protein when all the amino acids, alpha helices and beta sheets are folded into a specific structure. The quaternary structure describes a protein which is composed of two folded amino acid chain subunits that come together to form one final protein. What is denaturation of proteins? Take the example of an egg. Eggs turn hard when you boil them. It is because the protein molecules start to unfold when the white egg is heated up. This process is called denaturation. Denaturation involves changes in the primary, secondary, tertiary and quaternary structures of a protein. It happens because of the disruption of the weak noncovelant bonds that stabilize those higher orders of protein structure. Denaturation decreases the diffusion coefficient and crystallization of proteins. It alters the surface tension, extinction coefficient and absorption spectrum. Stability of a protein is determined by measuring the difference between free energy of the folded and unfolded state under equilibrium condition. Most proteins have irreversible denaturation on exposure to high temperatures. Cooking food denatures proteins and makes digestion more efficient. Extremes of pH, chaotropic agents and heating are the causes of denaturation. The extent of denaturation depends upon protein type, moisture content, concentration, ionic concentration and composition. Incorporation of air bubbles and adsorption of protein molecules to the air- liquid interface also cause denaturation of proteins. The extent of change in conformation of proteins is based on the flexibility of the proteins. Highly flexible proteins denature more readily than the rigid ones do at an air- liquid interface. College Biology courses have many more exciting topics that show up a treasure of ideas and knowledge for students who are interested in the subject. 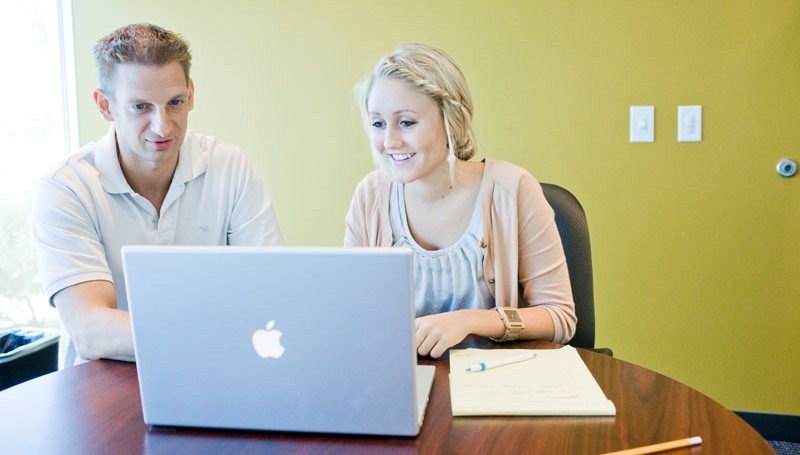 Some of them may be intriguing and as such students need expert help from online college Biology tutors who make even the challenges in the subject easy to understand with their custom made solutions and approaches. Biology assignments at college level are vast, demanding time and research and it may not be within the reach of many students. College Biology assignment help is a succor for such students from tutors whose expertise in the subject allows them to produce assignments which are original and plagiarism free with well researched content. 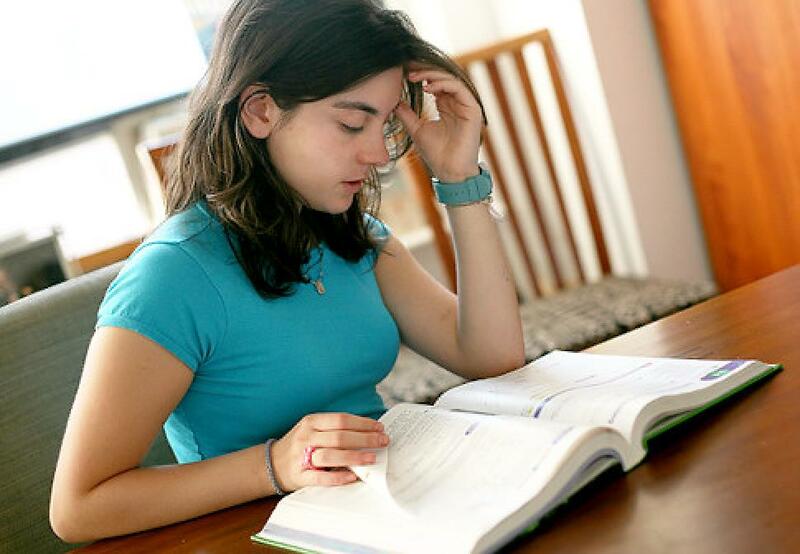 College Biology homework help is an essential need for students who wish to score high in their homework topics with real knowledge in the subject. The tutors in the personalized environment are able to lend convincing answers and explanations for student queries and help them do Biology homework at advanced level without struggle. 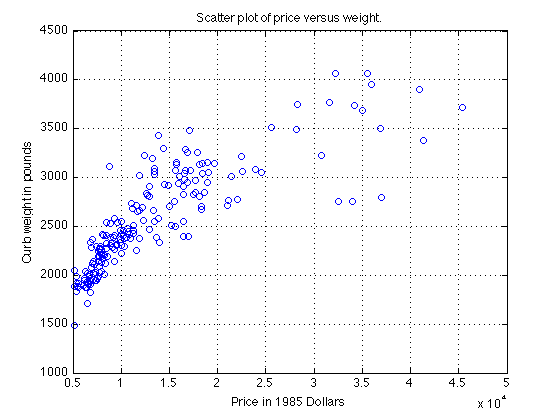 Thus learning topics like protein denaturation or other such ones with the guidance of online tutors improves the scores of students with better insights.